The Cathance is a class III/IV creeky type run in Topsham Maine. Put In: Park where it says "Park Here". 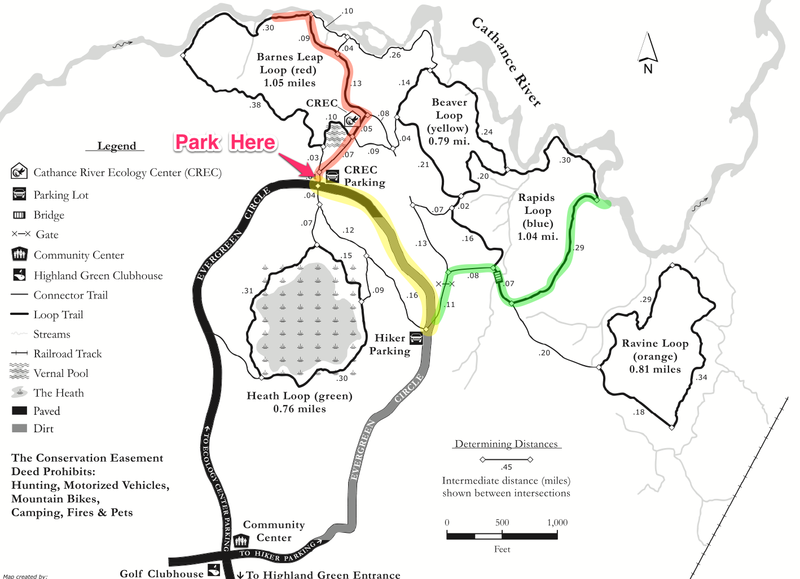 Hike down to the river on the trail highlighted in red.